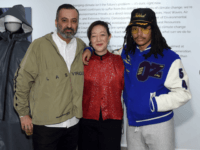 A New York City gallery and an environmental group have teamed up to launch a clothing line designed to help people survive climate change. 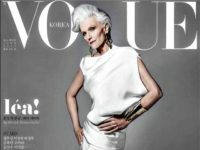 Maye Musk, the mother of Tesla billionaire Elon Musk, is shaking up the fashion industry at 69-years-old as she walked the runway during New York Fashion Week this season. 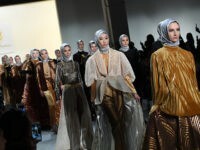 Indonesian fashion designer Anniesa Hasibuan made a political statement at New York Fashion Week this week by exclusively casting immigrant models for her show. Two days in and designers at New York Fashion Week are putting their political opposition to President Donald Trump on full display. 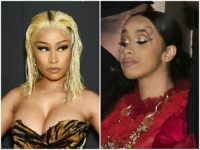 Marc Jacobs has responded to critics who accused the designer of “cultural appropriation” for outfitting white models with dreadlocks during his New York Fashion Week show this week. Victoria’s Secret model Candice Swanpoel is recovering from a “bruised ego” on Saturday. Italian fashion company FTL MODA cast a group of disabled models to walk in the Mercedes-Benz New York Fashion Week runway show Sunday to bring a special kind of diversity to the fashion world. 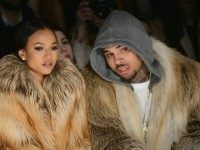 Chris Brown and his girlfriend, model Karrueche Tran, attended the Michael Costello fashion show Tuesday during Mercedes-Benz Fashion Week in New York donning matching fur coats, which, not surprisingly, didn’t sit well with PETA. 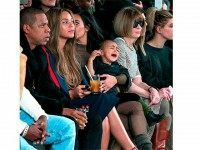 Kimye’s toddler was spotted front row on day one of New York Fashion Week, sitting with U.S. Vogue editor Anna Wintour, as the crowd waited for Kanye West’s new “Yeezus For Adidas” show to begin. American Horror Story actress Jamie Brewer has made history by becoming the first-ever model with Down Syndrome to appear on a catwalk during New York Fashion Week.